Congratulations, you have booked your trip to Walt Disney World. But now what? A successful Walt Disney World Holiday requires more planning then Disneyland as its so much larger. Walt Disney World contains 4 large Disney Parks and two Water Parks. Also, a lot of the Walt Disney World experience is automated (FastPasses, Magic Bands etc) and actually favours people who plan holidays (who book FastPasses 60 days ahead). Follow these tips below on what to do when and you will be well organised for your upcoming Walt Disney World Vacation. These tips worked for us! Sign up to the My Disney Experience App (MDE). It is a good idea to have this organised before you book your FastPass tickets closer to your vacation date. There is also a lot of information on the App regarding menus, rides, show times, park opening hours and more. This is so that you can catch the free Airport transport bus the ‘Magical Express’ bus. This saves you approximately $70 USD each way in a taxi. You enter your Flight Number details on the MDE App. When you arrive at Orlando airport – the Magical Express bus will be waiting for you. Start researching the rides you want to do. The rides and shows are listed on the official Disney website and App. But you can also view rides on YouTube which give you a very good idea of what the ride is about and how scary it might be for little kids (and Adults!). Tripadvisor.com also has some good reviews of individual rides too (not just hotels and entertainment). It is really worth researching rides as otherwise, when you get to the Disney parks you will be literally overwhelmed by choice (I cannot emphasise this enough!). It is also a good idea to check out the height requirements for kids too to avoid disappointment. Dining reservations and Character Dining experiences can be made 180 days before your holiday starts. You can call Disney directly or book online via the official Disney website. You can check out restaurant menus and cost via the MDE App. Have a general understanding of FastPasses and start gathering a list of FastPasses you would like to do. Universal Studios also has similar review of their rides too on their app, YouTube and Tripadvisor. Start planning how many days and what park. You need to know which days you are going to be at which park so you can book your FastPasses (the dates are required). If time allows, I do recommend one day at each park at least. If more time allows - you can easily spend 2 days in Magic Kingdom and EPCOT. If you like to spend a lot of time in the World Pavilions – you could easily spend three days at EPCOT (with 2 days in the World Pavilions and 1 day at EPCOT rides). Look at the opening hours of the park including when parades and shows are on. Have a plan about how you foresee each day to run e.g FastPasses after lunch, or after a parade. Note the park hours before booking and any shows you want to see (show times/parades are all listed on the app). Make sure FastPast times do not conflict with shows that you want to see. Also, it’s a good idea to ‘group’ FastPasses around a few close areas of the park. Buy Walt Disney World park tickets before the 60 day mark. This is so when your FastPass booking date comes, all you need to do is book FastPasses. If you are staying on site (at a Walt Disney Hotel), you can now book your FastPasses tomorrow. Some people set their alarms for this! It’s a good idea to have a plan and a backup plan in case you don’t get the FastPasses you want. My strategy was to priorities the rides you want for each ride tier. I would advise having all the information required in the App (travelling party, Disney tickets bought and even the colour of your Disney Magic bands etc) all set up well before the 60 day mark so all you need to do on Day 60 day is literally book your FastPasses. The Magic bands have multiple uses like opening your hotel room door, buying food and souvenirs with. The Magic bands are also connected to PhotoPass and automatically take video of you on rides in the parks and photos from cast members. They are also engraved on the back with your name which is a really nice touch. The MDE App has a countdown for your trip so you don’t have to actually work this out yourself. If you are staying on site (at a Walt Disney World Hotel) – you can finally book in your FastPasses. We managed to get all our FastPasses that we wanted at the 60 day mark. If for some reason you don’t get the FastPasses you want or the times– be persistant checking as people tinker with their Fast Pass bookings. Why book FastPasses early if at all? Because all the popular rides will be taken up with FastPasses and the Standby lines for some rides (such as Flight of Passage, Animal Kingdom) can be 180 minutes long. I should say though that a lot of the rides with long lines do have pre-ride entertainment and things to look at to keep you entertained – and this includes Flight of Passage. What the FastPass booking page looks like. If you are not staying on site (not at a Walt Disney World Hotel) you can finally book your FastPasses on this date. Similarly to what I’ve said above, if you don’t get the FastPasses that you want – you can also keep checking as the date approaches, as people do shuffle rides and times around. On the day of your actual park visit, Disney also release new FastPasses too! (I have heard about 10:30 am, but that is just what someone has told us and is not official). There is also a Dining plan you can do. The Disney Dining Plan (DDP) is available for Walt Disney World guests who purchase a package through a Disney Travel company or through the official Disney Website. The DPP works by pre-purchasing a set number of meals before your holiday. There are restrictions on where you can eat and you need to eat quite a lot –to get your money’s worth (we didn’t think it was worthwhile). For just two quick service meals a day – and snacks it is over $50 USD per day, per person (over age 10 years old) and so for three of us that’s $150 per day (and not deluxe dining). Our family of three actually dined for roughly $100 per day ourselves without a DPP at Counter Service restaurants. We saved $50 USD per day by not having the Dining plan. You can now do a budget with the days you have - you can also look at the menu options at the park and also the merchandise that is listed on the official Disney Website. You already know your accommodation and plane flight costs- the daily spending money can be tallied now according to how you have also booked your FastPasses. Book optional extras like Kennedy Space Centre, Miami and Universal Studios Tickets. You can sign up for the Memory Maker PhotoPass. This is $169 if you’ve paid 3 days before your trip. The PhotoPass goes up to $199 if you decide when you are at the parks to get it whilst you are there. PhotoPass lets you take unlimited Photos at all of the parks with a Cast Member. You basically go up to any photographer in the park and ask them to take your photo. The photos are scanned to your Magic Band or ticket. The PhotoPass also takes automatic photos and video on some rides. What you might not know though that there is also a cheaper ‘1 day 1 park option’ (which we did), that you can take up after you have been to the parks. This option is only available on your mobile app and costs $69 USD. Choose your best day in the parks and download those pictures only. Also, it is important to note that whilst you can pay for PhotoPasses, Cast members are more than happy to take your photos with your own cameras too. Often they are exactly the same poses you are paying for with PhotoPass. You will not get ride pictures or ride videos however. Every night before a Disney park visit, I study maps that are available for free at the Disney Resort hotels. It was handy that these maps were also completely up to date and a good indicator of what is actually there at the park. By looking at the maps the night before, I kind of knew where the rides were in the park and had a bit of a ‘game plan’ on how we were going to tackle the day ahead with food options (for a fussy food eater), timings of FastPasses, shows etc. It’s a good idea to check the weather the night before. Often, for Florida, it might say ‘rain’. This won’t mean it will rain all day – only that a portion of the day it might rain. Have a plan on where you will seek shelter during a thunderstorm. I have written a post about wet weather days at Walt Disney World here. What you really wish to avoid is getting to the park and not knowing where to begin due to the overwhelming choice in rides and attractions. Hoping you have found this list useful with your planning. Some might say a little over planning might take the spontaneity away from the holiday. 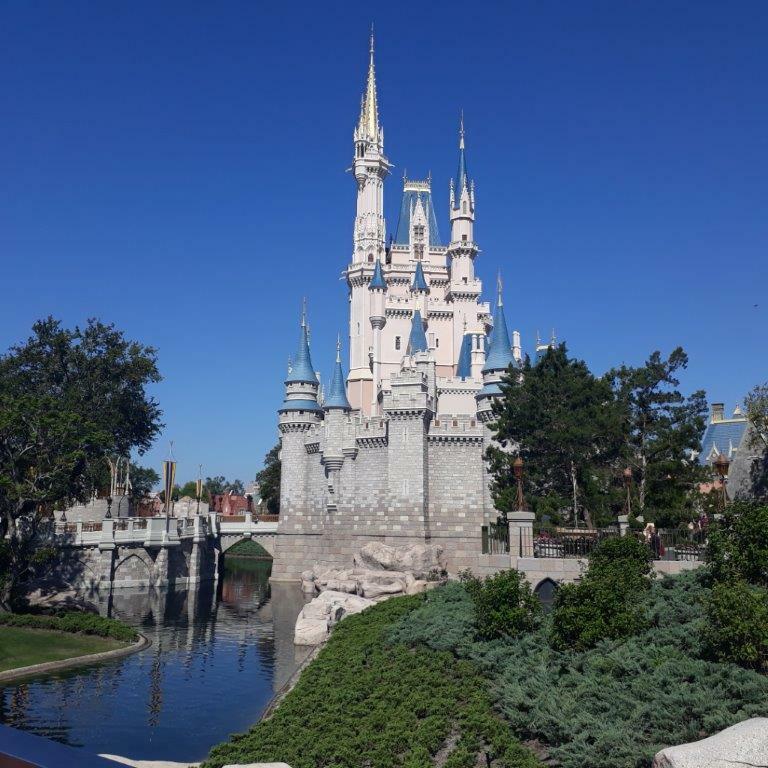 I am here to report however that a little planning maximises your time and money visiting Walt Disney World – and helps it to run like clockwork. We managed to do all the rides and attractions we wanted at Walt Disney World and had a stress free holiday. Have fun holiday planning! Would love to hear from you in comments below.